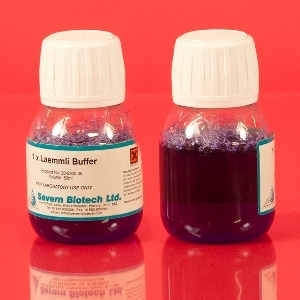 Coomassie Blue Stain is used to stain proteins separated in poly-acrylamide gels. 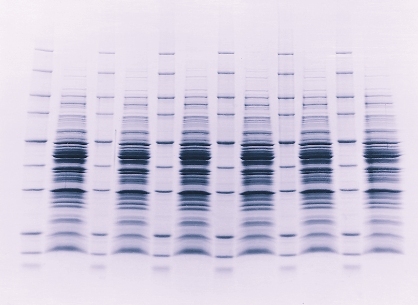 The separated bands are distinguished as blue bands within the gel. 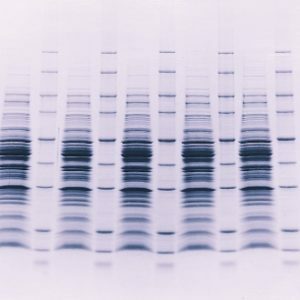 When the gel is stained they are indistinguishable from the backgound staining. This background is removed using Coomassie Destain Solution which makes the bands appear within a clear gel.